The Gold Coast street circuit is a high speed, concrete-lined, thrill ride that was shortened for the new-look event in 2010 by around 1.5-kilometres. The temporary street track has proven to create carnage in the past, particularly when drivers don’t show the patience required for victory, so the guest international drivers at this year’s event will have to tread carefully. V1.2 changes - front chicane opened up a bit more and a couple of other fixes. 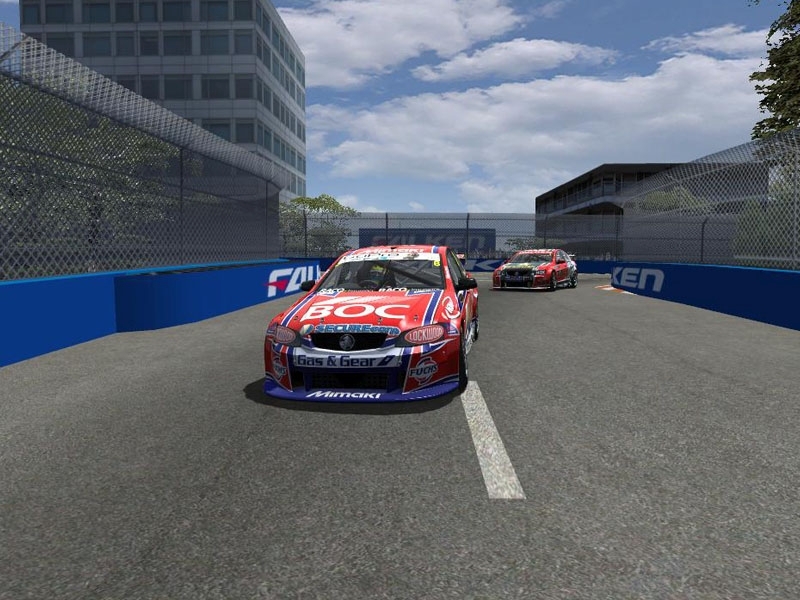 There are currently no setups for Gold Coast 600 2012. Add a Setup. You can add x amount of time in seconds to a driver after a race and the program creates the new xml file so you can use it in another addons like rfactor report etc. Oh, and I tried to make those mountains able to drive on, but seems it was too good for my virtual memory Maybe someone will make HAT file for me please? i can send you the modified scn. Thanks for the track, but could it be that you forgot to implement starting lights? There are currently no car skins available for F1 Historic Williams FW26. If you are a painter you can share skins for this mod via the Car Skins area. Visit the Spray Booth for painting tips & tricks. On our website for daily news. It was driven by Ralf Schumacher and Juan Pablo Montoya and proved to be one of the most attention grabbing cars of the season. The FW26 was powered by a BMW 3.0 V10 engine, one of the most powerful in F1 at the time. As far as I know there is nothing in the AIW file that would make the AI pit under the pace car? Maybe have a look at the setup your AI are using?